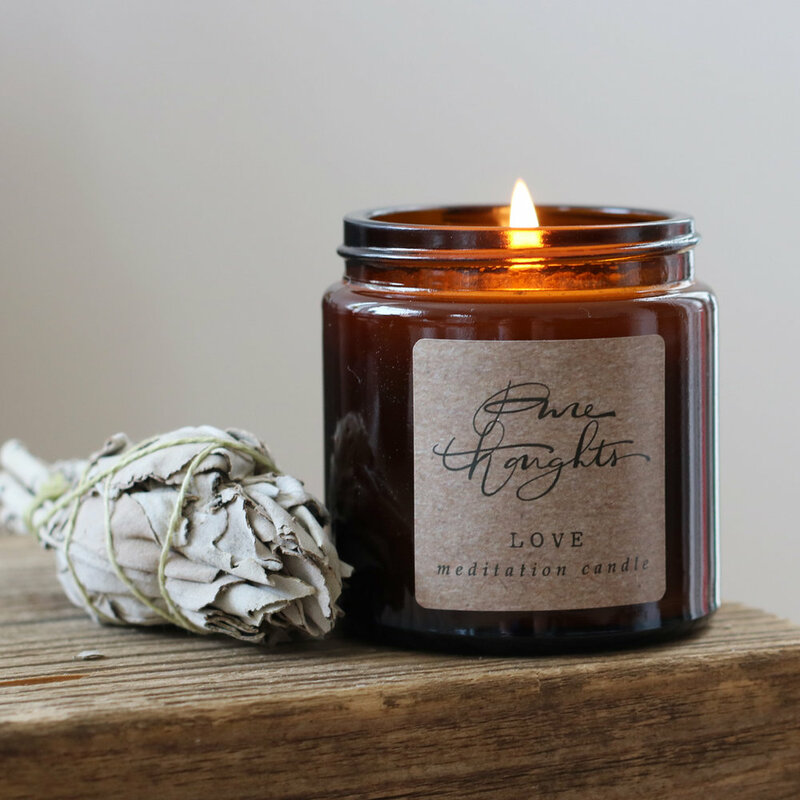 Words and photography by Leanna Doolan, co-founder of Pure Thoughts; a mindfully created collection of meditation candles and natural skincare. What would it feel like to have freedom from the thoughts, ideas and reminders racing around your mind? To know where to find stillness within, even in the middle of another busy day? In a hectic modern world that might feel like a bit of a stretch of the imagination, but I’ve learnt from experience that meditation holds the key to living a more mindful and calm life. I’d ask you to trust me on that but I’d rather share some of the benefits with you and help you forge your own path. Everyday pressures of modern day living can leave us feeling vulnerable and experiencing unhealthy levels of anxiety. As women these emotions tend to draw us inward and cause us to ruminate, even over the smallest things. What often follows is self-criticism and judgement which creates a self-fuelling cycle of negative thinking. So, how can meditation help? The practice of meditation encourages us to become observers of our own thoughts, to learn to see them and not react. Letting them pass by like clouds. It sounds so simple doesn’t it? But, it’s incredibly powerful and helps to prevent the destructive cycle of negative emotion and criticism. Being able to do this even at a beginner level can breed more positivity and self-compassion helping to quiet your mind, feel more present in the moment and even enjoy more restful sleep. Creating a quiet moment to practice is usually the biggest challenge that most of us face. My advice is to start small and build slowly. Look for a natural pause in the day or retire to bed a little earlier than usual and sit for a while to help calm your mind. I started my practice with only two minutes a day and let’s be honest, we can all find that. As the owner of a very active mind, I’m positive that if I can do it, then you can too. Here are my 5 tips to help you on your meditation path. Begin- Getting started is the biggest step. Don’t overthink it or create excuses about why you don’t really have the time, we can all find two minutes, right? Routine- Make it part of the family routine. Not only will this make it more likely that you’ll practice regularly but it also helps your family to support you on your path. Ritual- It’s not essential, but I like to have a ritual around my practice. It can be anything that’s meaningful to you. Try lighting a relaxing candle or perhaps have a comforting blanket or cushion that you use only during meditation. Simplicity- Focus on your breath moving in and out of your body. On the in breath fill your lungs and stomach with air and then expel it fully on the out breath. Doing this even for a couple of minutes can have the most calming effect. Imperfection- At first your mind will rush to fill the empty space with thoughts, it has been doing it for years and so be patient. See those thoughts as clouds and let them pass by without engaging with them. There is no right way to practice, simply enjoy the process and let the results come in their own time.